Tibet is considered to be one of the harsh and primordial tour in the world, buarded by passes and blessed by wispy prayer flags, it is often painted as Shangri-La of cliff-hanging monasteries and a culture looked in eternal mysticism. For most travelers, Tibet is Lhasa. 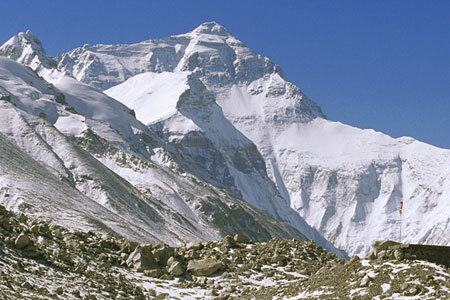 This ancient capital, lying high up in the wild of the Kyi Chu River valley (3600m) is Tibet's sacred city. 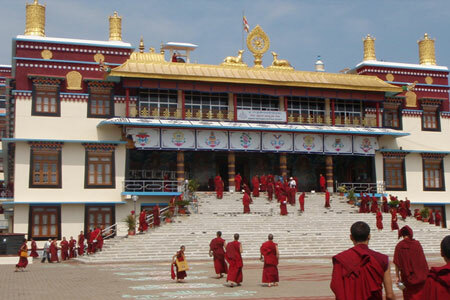 And we put it, a visit to its numerous temples and shrine is an integral part of any journey to this land. Lhasa evolution into the spiritual and temporal centre of the Buddhist Kingdom was set off by King Srongtsen Gyampo. In the Seventh Century, he built its principal temple, the Jokhang and also laid the foundations of other ancient edifices, including the original Potala Palace, Pabonka Dragla ludug and others- hallowed pilgrim sites venerated to this day. The Jokhang, Tibet's most sacred monastery, and perhaps its first significant religious institution, is the spiritual center of Tibet and the heart of Lhasa. Perhaps more frequently associated with the Lhasa is the legendary and magical Potala, the ancient seat of hte Dalai Lama, the god king of Tibet. Perched majestically on the Marpo Ri (Red Hill), the multi - Storied edifice flowers over the city like a celestial realm suspended in the air. It emboides the finest 17th centuary Tibetan architecture and is best admired from the outside by following the pilgrims progress around it. 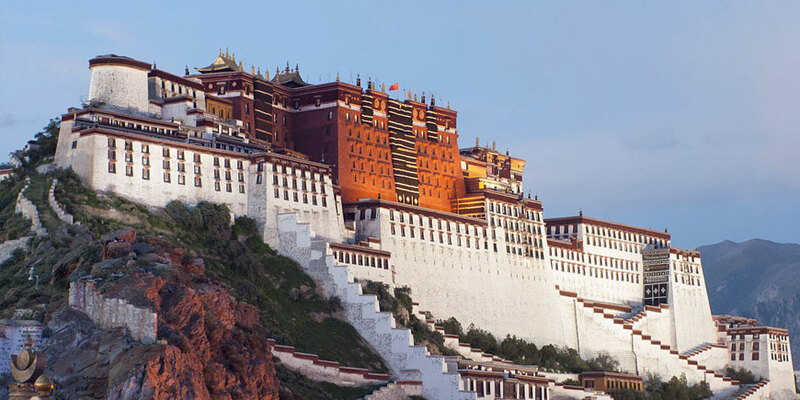 Inside, the superb sense of space reveals the enormity of the structure and its special relationship with Lhasa. The view of the city from its roof is sikply breathtaking. Most Importantly, all travelers in Tibet are kindly requested to bear in mind that Tibet, being extremely remote and isolated by the most formidable Himalayan ranges, remains one of the most captivating but least developed parts in the world. On top of that, with its very short history of tourism (just about 15 years), the facilities for tourists, although being upgraded, are still at basic and limited scale. So, visitors are requested not to have high expectation in terms of facilities in Tibet. You can rather take this tour as an adventure from every point of view, viz., road, hotels, vehicles, climate, visa, etc. However, We will always put all our all our efforts inmaking your journey as pleasant as possible. 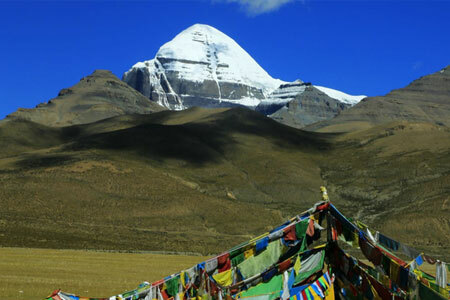 Tibet has a very short history of tourism, just about fifteen years. The facilities for tourist although being upgraded are still at basic and limited scale. Most importantly, all travelers traveling in Tibet are kindly requested to bear in mind that Tibet being extremely remote and isolated by the most formidable Himalayan ranges remains one of the most captivating but least developed parts in the world. We will always put all our efforts to make your journey as pleasant as possible but the visitors are requested not to have high expectation in terms of facilities in Tibet. Besides, the road between Tibet and Nepal is not up to the standard. It is rough, bumpy and full of bends. Particularly, during monsoon (June-August), It can be temporarily obstructed by landslide and erosion. Therefore, a bit sporty wears and shoes are much advised facilitating the travelers to walk over the landslide - especially in the Nepal portion.